One of the highlights of the Hellbrunn Advent Magic is the Children's Christmas World. With the support of the scout group Mülln, the society Cleverly and the company Resch&Frisch an adventure area for children is built every year. At the camp of the scout group Mülln the kids grill sausages over an open fire and the famous group "Die Kichererbsen" from Salzburg tell thrilling storys in their free puppet theatre (Kasperltheater). Baking cookies in the children's bakery, pony riding, taking a ride with the Christmas train, catching huge soap bubbles or allowing the magician Geraldo to cast a spell on you – all these things definitely make the time waiting for the Christ Child pass more quickly. 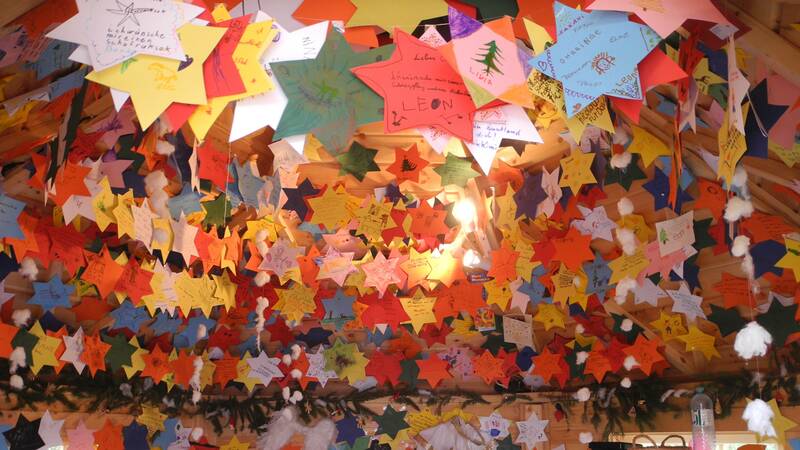 In the traditional Christmas post office children can submit their wishes to the Christ Child. The children's programme has always been of great importance to Josef Gassner and therefore an essential part of the Hellbrunn Advent Magic. Also this year there will be a mystic Krampus world, which is organised in cooperation with the Krampus group from Anif. The customs usage club designs a spectacular scenery with original masks and costumes in order to give the visitors an understanding of the secrets of this mystic tradition and the history of the Krampus. The 'Krampus to touch' should help children to overcome their fear. SATURDAY/SUNDAY/FEAST DAY | 11a.m. - 6 p.m. WAITING FOR THE CHRIST CHILD | 24.12., 10 a.m. - 1 p.m.